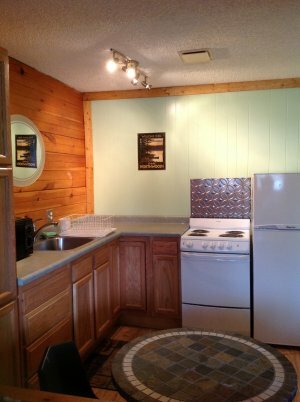 WELCOME to our Campside Apartment with its fully remodeled kitchen with new cabinets, counter tops, frig, stove, sink, paint, decor, flooring and table. 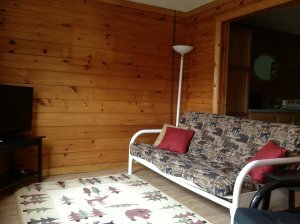 New flooring in the living room and hallway and a 32" HDTV with a large satellite package at your fingertips and WIFI. We have also updated the 3 piece washroom. 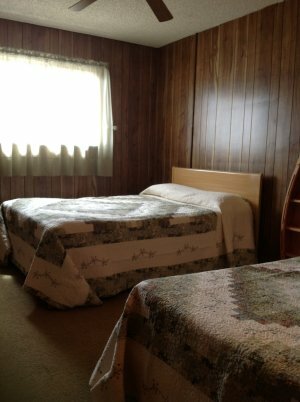 The Campside Apartment has two bedrooms, one with 2 queen sized beds and a twin and one bedroom with one queen sized bed and a twin bed. 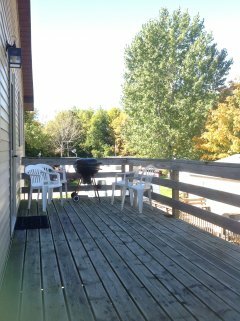 The Campside Apartment has a large attached deck where you can sit, relax and grill. 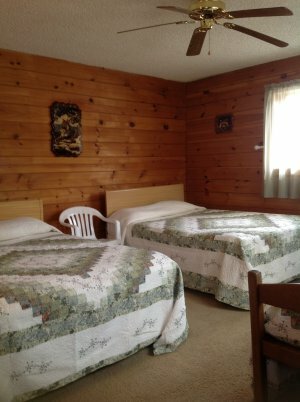 You have a wonderful birds-eye view of the entire camp. In the fall this is an AMAZING view when the leaves are turning. Important items to bring: dishtowels, dishrags, dish soap, bath towels, washcloths, shampoo/conditioner, toiletries, body soap and a fan if you desire.